Prepare yourself for an unparalleled sensory experience. 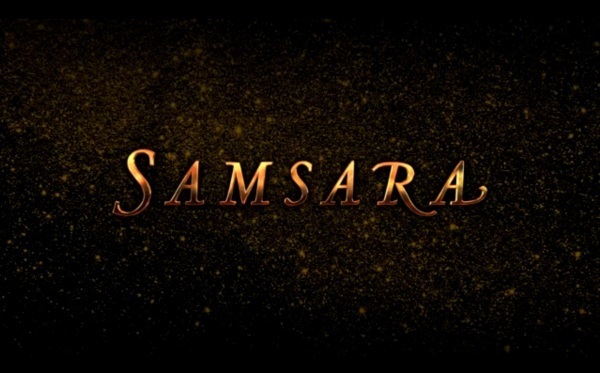 SAMSARA is the creation of director Ron Fricke and producer Mark Magidson, whose films are acclaimed for combining visual and musical artistry. SAMSARA is a Sanskrit word that means “the ever turning wheel of life." Have you ever heard of a non-verbal movie? 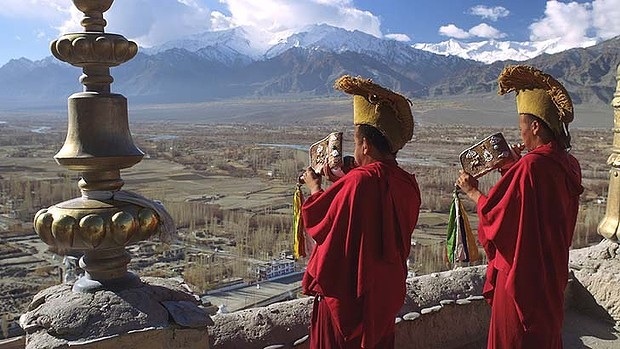 SAMSARA is just that --a movie without words. Filmed over a period of almost five years and in twenty-five countries, SAMSARA takes us to sacred grounds, disaster zones, industrial sites, and natural wonders. There are absolutely no words in the film and no subtitles. It is the images alone that help us explore and think about the wonders of our world from the everyday to the miraculous. Samsara’s 102 minutes of imagery is combined with original music composed especially for the film. This week we will visit a few of the groups of people featured in the film. What can you remove, take away, subtract--to improve on an idea? 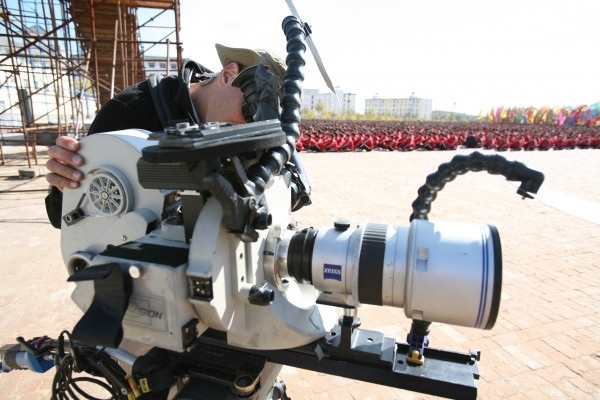 Eliminating "WORDS" transforms SAMSARA into an exception film experience for the viewer. 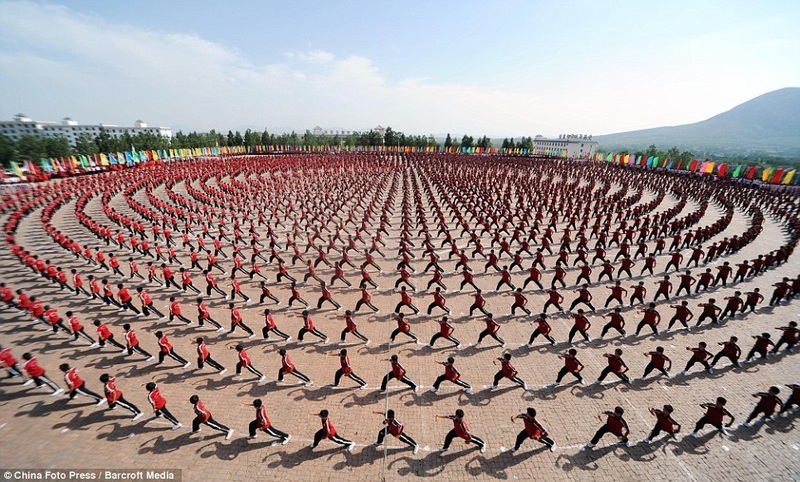 This martial arts school in China is the largest in the world! Over 10,000 students study reading, math, and science, but they are mainly there to study martial arts. They are well known for their mass martial arts presentations and were a favorite of Samsara viewers. Working successfully as a team requires that each and every person gives their best effort. CLICK HERE FOR LINK TO SAMARA CLIP. BELOW IS ADDITIONAL FOOTAGE, BUT NOT FROM SAMARA. THE QUALITY IS NOT AS GOOD. 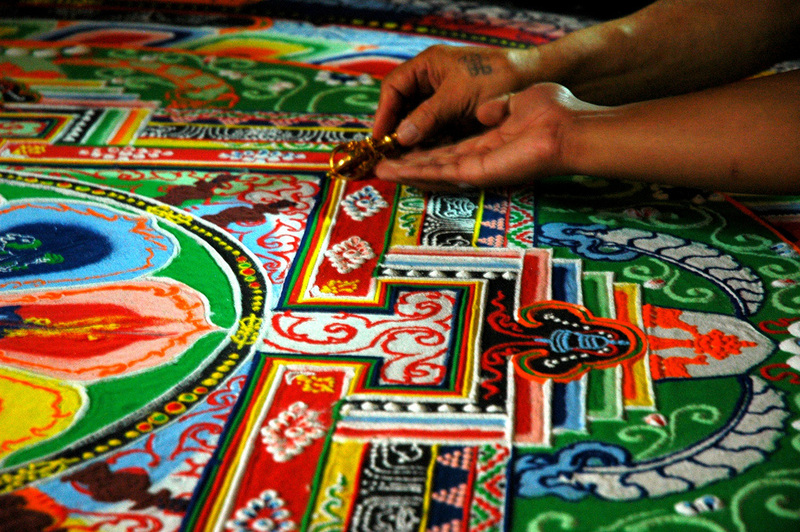 The Tibetan Buddhist monks are known for the creation of sand mandalas and were featured in SAMSARA, constructing one. This tradition involves the creation and destruction of intricate images made from colored sand. Surprisingly, the sand mandala is dismantled or destroyed, once it has been completed. The monks see this a perfect symbol of the Buddhist belief that material life doesn't satisfy or last --that means that things are not as important as people and nature. They also view the mandala as a receiver of blessings. They believe when the mandala is destroyed the colored sand is poured into the river where the blessings eventually come to many people on the shores of many waters. 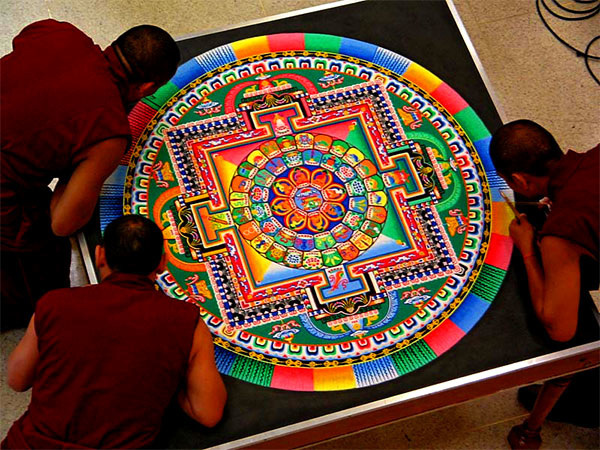 A long time ago, the mandala was not created with dyed sand, but granules of crushed colored stone. In modern times, plain white stones are ground down and dyed with inks to achieve the same effect. Before laying down the sand, the monks assigned to the project will draw the geometric measurements associated with the mandala. The sand granules are then applied using small tubes, funnels, and scrapers until the desired pattern over-top is achieved. Sand mandalas traditionally take several weeks to build, due to the large amount of work involved in laying down the sand in such intricate detail. It is hard to believe that after all that work, they destroy these beautiful creations. Recognizing what is important in life and communicating that truth visually in creative ways, helps others think. 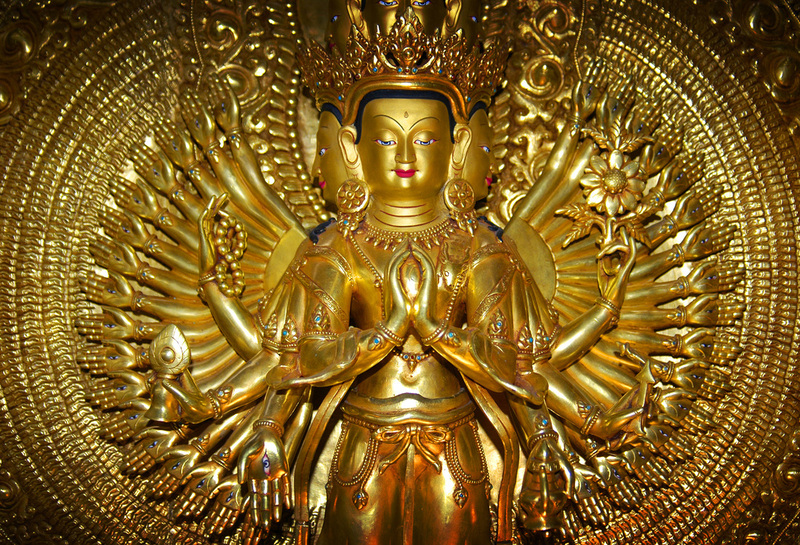 Guan Yin is the Buddhist Goddess of Mercy. Guan means to observe, watch, or monitor; Shi means the world; Thus, Guan Yin is a compassionate being who watches for, and responds to, the people in the world who cry out for help. The 1000 Hands Dance is an interpretation of those qualities of Guan Yin, suggesting the help she gives to many in many places. The most incredible thing about the performance in Samsara and one which has been touring the world in recent years, is that all the dancers are deaf. They are members of the China Disabled People's Performing Art Troupe. None of them can hear the music - this makes their choreography a truly amazing achievement. The difficulties and challenges they encountered in training are beyond imagining. Creative expression happens in unexpected places when we change our attitude about what is possible. CPDRC Dancing Inmates or the CPDRC dancers is a collective of prison inmates in a maximum security prison in the Philippines. Prisoners in this island location perform dance routines as part of their daily exercise and rehabilitation, and many of their performances are filmed and released online, making them a popular feature among many. Byron F. Garcia, the official security advisor to the Cebu government in the Philippines, is credited for starting a program of choreographed exercise routines for the inmates. The prison is best known for its rendition of Michael Jackson's "Thrille." The prison management believes that group dancing and all the practice that comes with it is good for the prisoners, helping them to develop cooperation, experiencing the rewards of teamwork and the positive feeling of accomplishment. Dancing is not only is good exercise, it allows your body and mind to become one with music! It teaches cooperation and helps us to value discipline and hard work.